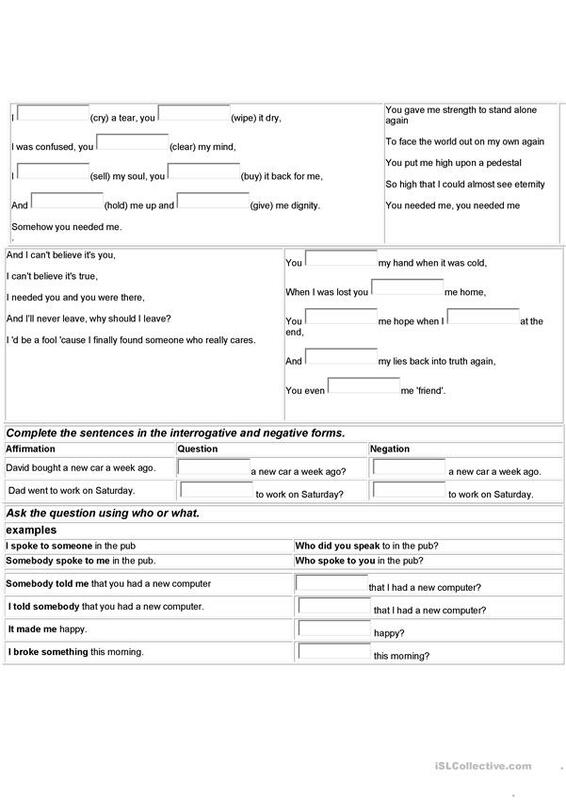 Instructions on how to use and make verbs in the Simple Past. Includes practice and gap fills. The above downloadable printable is meant for high school students at Pre-intermediate (A2) level. It is great for consolidating Past simple tense in English, and is a valuable material for developing your groups' Reading and Writing skills. It is about the topic and words of American/British English. teacherbanksTH is from/lives in Thailand and has been a member of iSLCollective since 2012-09-03 06:50:36. teacherbanksTH last logged in on 2018-10-11 17:23:56, and has shared 4 resources on iSLCollective so far.